One of the best things about many mobile games is the time-killing factor. The option to fire up a game, play through a level or two, and get back to "real life" in an instant is what made games like Angry Birds so popular in the first place. They're perfect for the wait at the doctor's office, waiting on a date to show up for dinner, or any scenario of the sort. 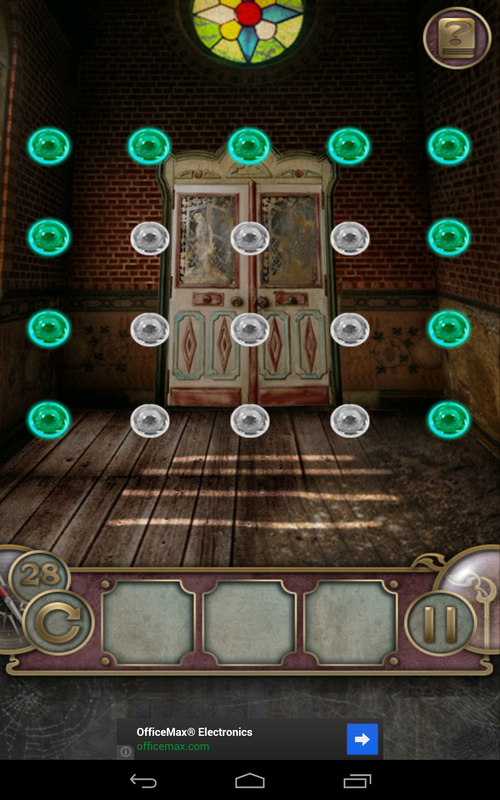 For fans of quick-fire puzzle games, Escape the Mansion is just such a title. 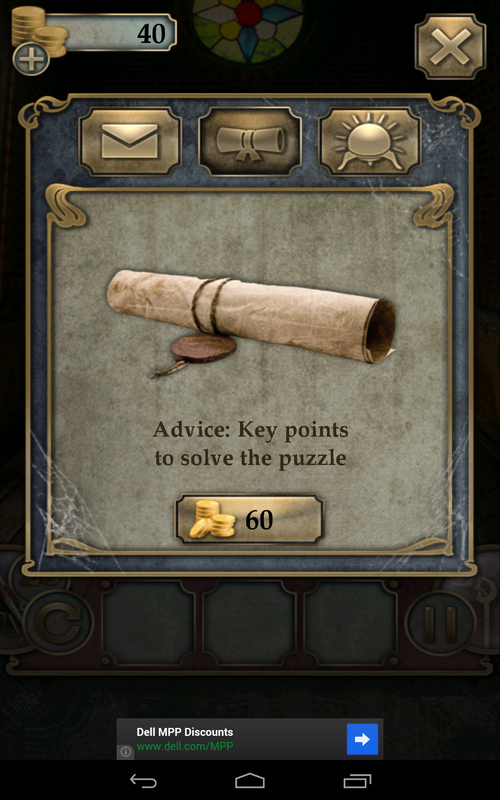 It also adds a nice eerie vibe to the mix, which brings a little bit of purpose to solving all the offered puzzles. The gist is incredibly simple: the character is trapped in a mansion of seemingly endless doors, and each room contains a new puzzle. 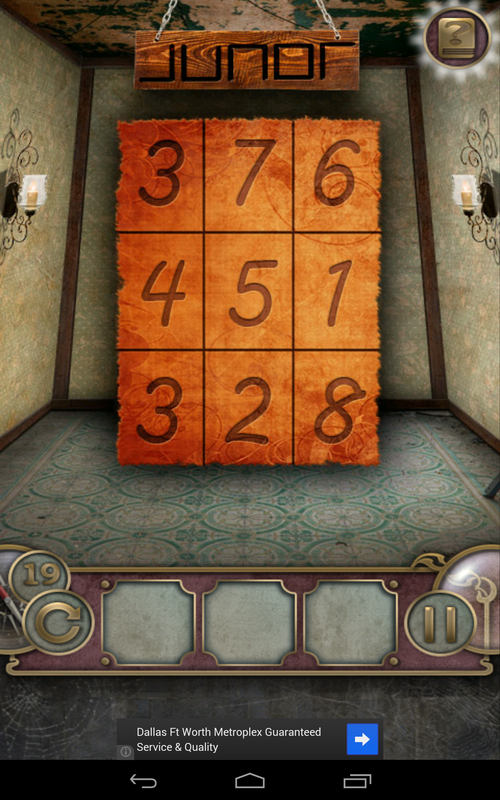 To advanced through the door, solve the puzzle. While the idea is simple, there are enough different types of puzzle here to keep fans of this genre entertained throughout the duration. 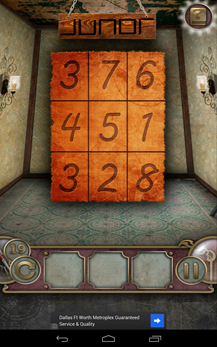 Escape the Mansion provides a good blend of hidden object, sliding block, and several other types of puzzles all under one common theme. The best part is that you never know what's coming next. 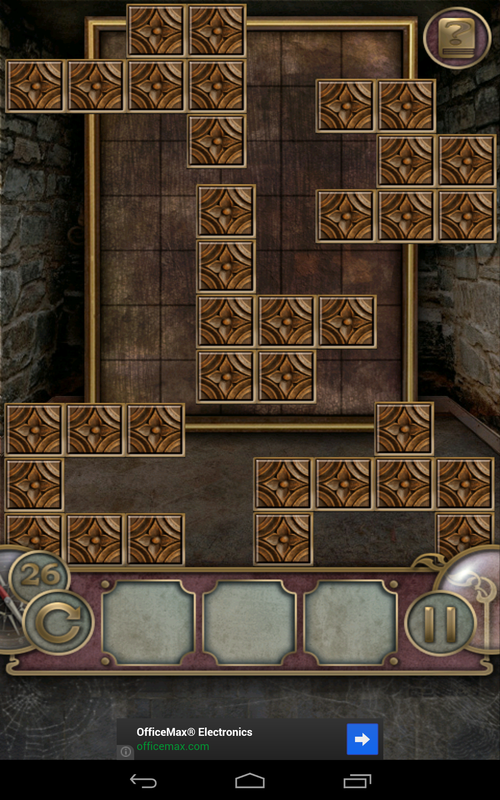 Unsurprisingly, the first several levels are quite easy; just enough to get the user's feet wet, so to speak. 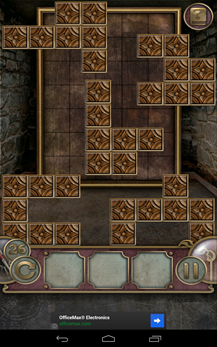 As doors are opened (and thus, levels unlocked), however, the challenge picks up. There are times when it takes some real attention to detail and thought to figure out what's supposed to be done. 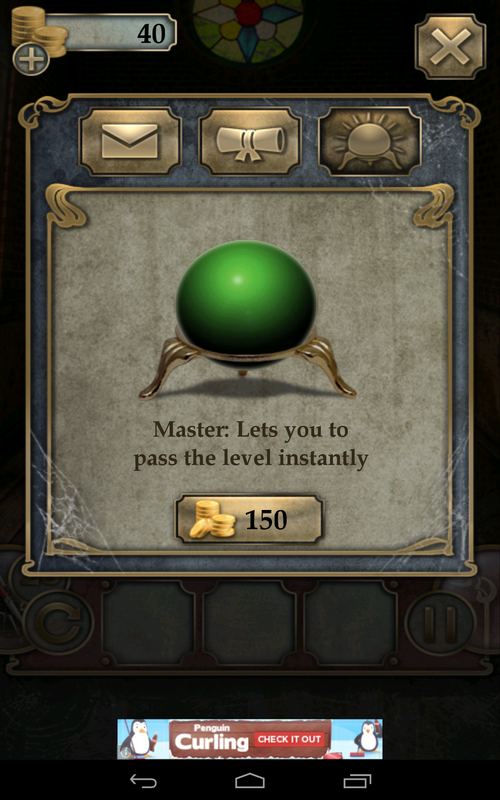 So, what happens if a level is too difficult to pass? The game offers an in-app currency system that allows users to "buy" hints, advice, or pass levels altogether. Hints are the cheapest of the three at 10 coins, but also the least informative – they still leave some guesswork, though usually make it slightly easier to figure out what needs to be done. At 60 coins per level, Advice basically gives all the details needed to complete the level. If that's still too much like work, the third option is to pay the 150 coin-price to auto-complete the level. 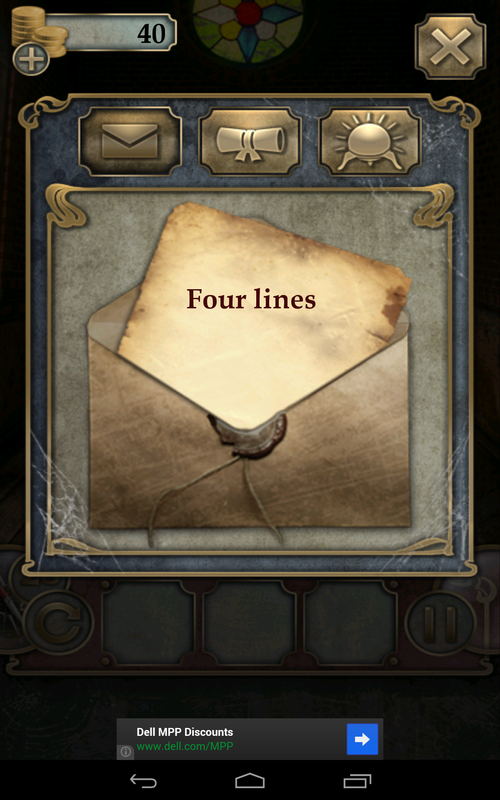 The game offers 100 coins right out of the box, but additional in-app currency is awarded in a few different ways: by logging in multiple days in a row, sharing the game on social networks, completing certain numbers of levels, and the like. Of course, there's also the option to buy more using in-app purchases. 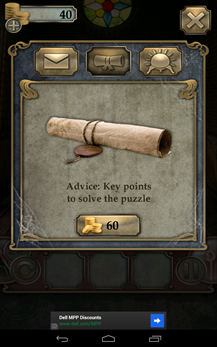 Fortunately, Escape the Mansion's IAPs aren't too over-the-top, and the game is completely playable without ever having to spend a penny. Like most IAPs of this sort, the more real-world money spent, the cheaper the in-game currency gets: $1 for 100 coins, $2 for 300 coins, $5 for 1,000, $10 for 2,500, $20 for 6,000, and $50 for 20,000. 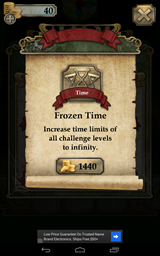 There's also an option to buy the enhancements in bulk, which covers every level in the game. Still, it's not necessary to spend any money, as it's possible to complete the game the old-fashioned way: by playing it. 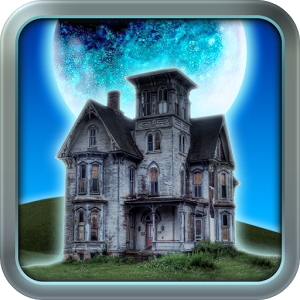 Escape the Mansion is free in Google Play (and currently has over 1 million downloads with a 4.5 star rating), so it's worth at least checking out. Fans of the puzzle genre as a whole (and/or folks who prefer games with a spookier edge) should quite enjoy this one.